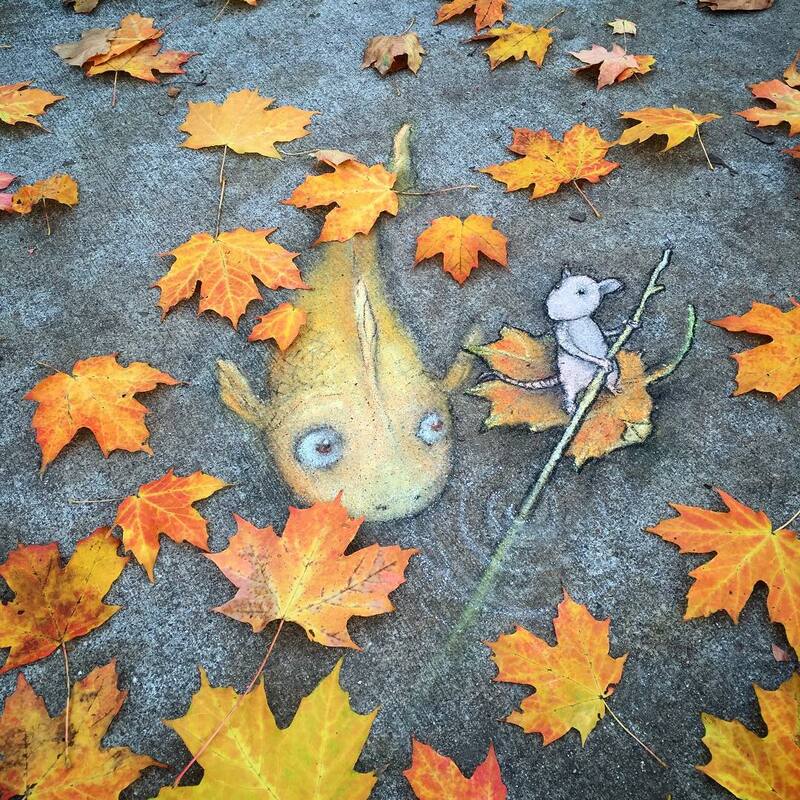 Here’s something fun from the reliably intriguing website This Is Colossal: playful chalk drawings on Ann Arbor, Michigan, sidewalks. Kind of makes a person want to try it. More about Zinn here. Lots more drawings. Update 10/10/17: John sent me another link to this artist. Check it out for more great pictures. And the coolest part is that he learned about it from his son’s Highlights for Children magazine, which my husband has beeb sending. 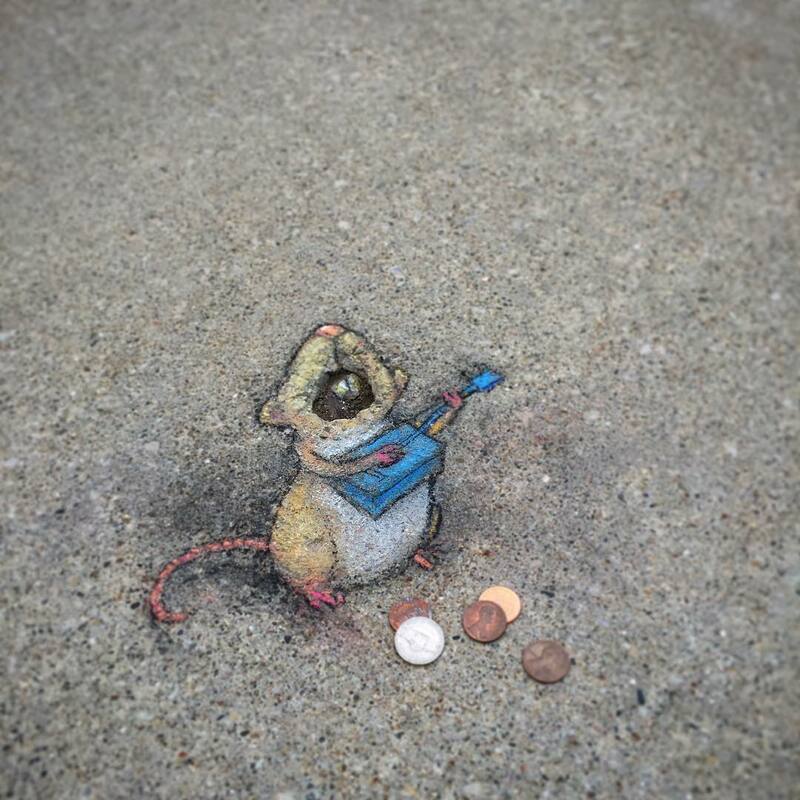 What a clever idea–and what talent the artist has! I especially loved the photo of the little boy looking at a drawing of a space alien pouring waffle batter into a re-created sidewalk grill! I’d love to see them in real life. You could do this, Asakiyume. You are a good artist. I LOVE this story. Thank you, as always, for sharing! I often feel that people who see things in offbeat, amusing ways will save the world.